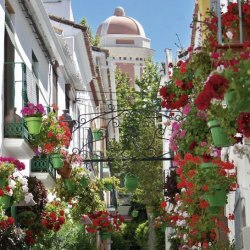 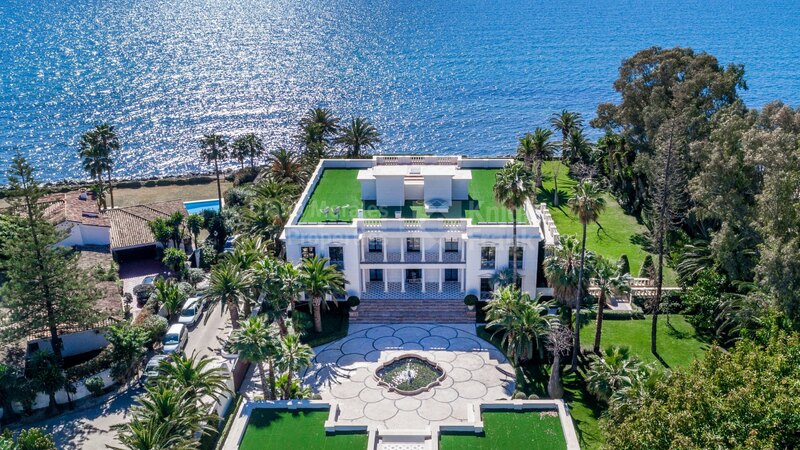 Please, send me more information about ref DM3316-03 in Casasola, Estepona or similar properties. 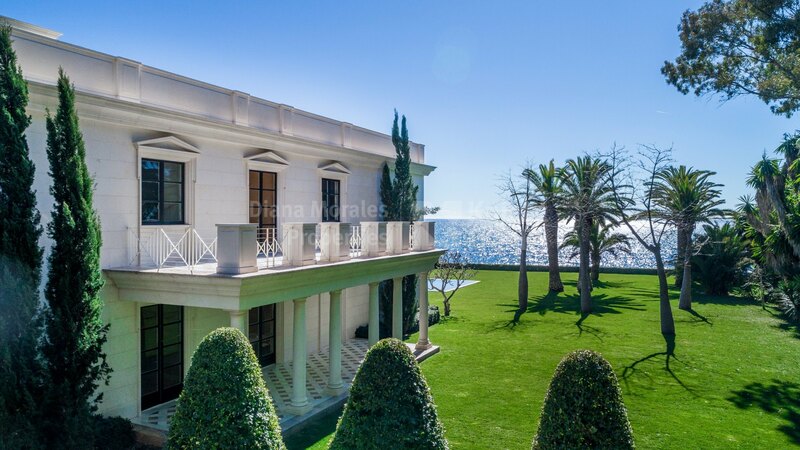 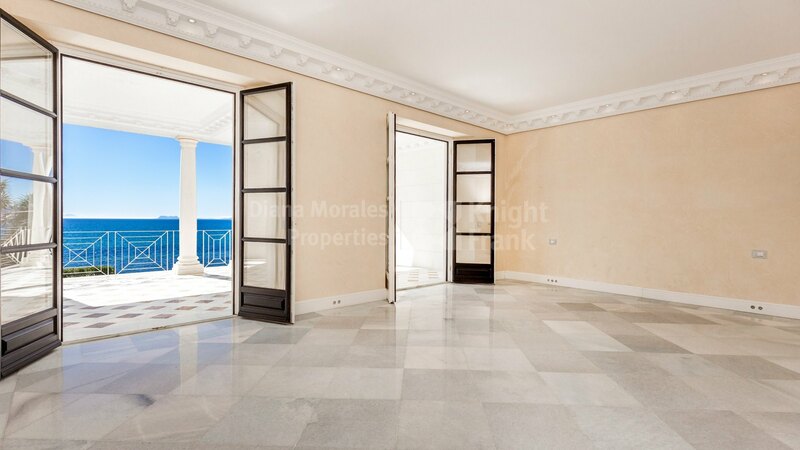 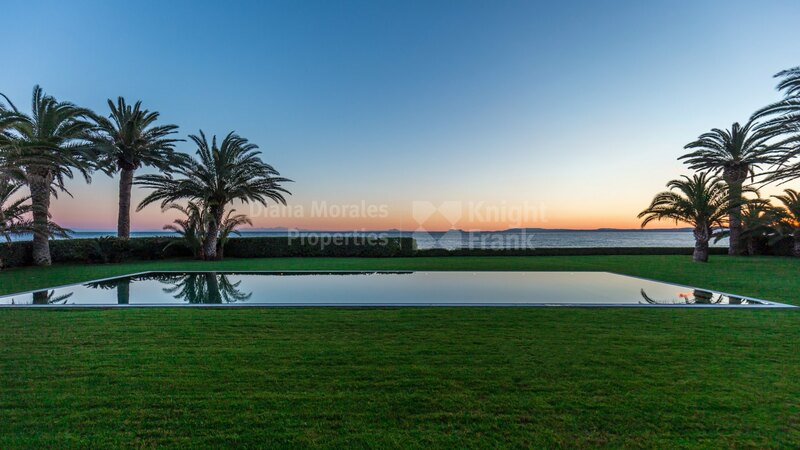 A truly unique property set on a privileged beachfront position in the sought after residential area of Casasola. 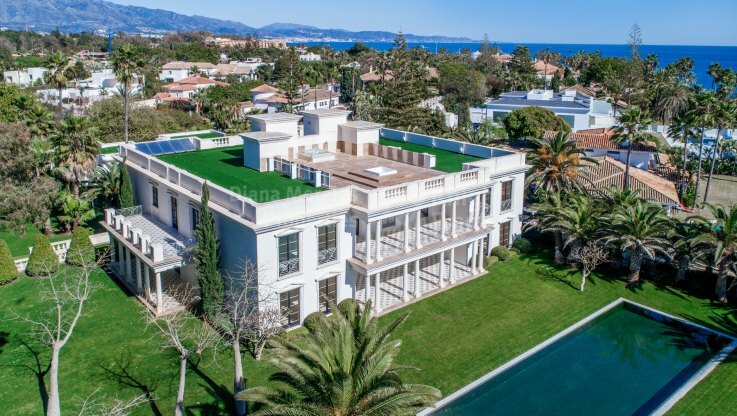 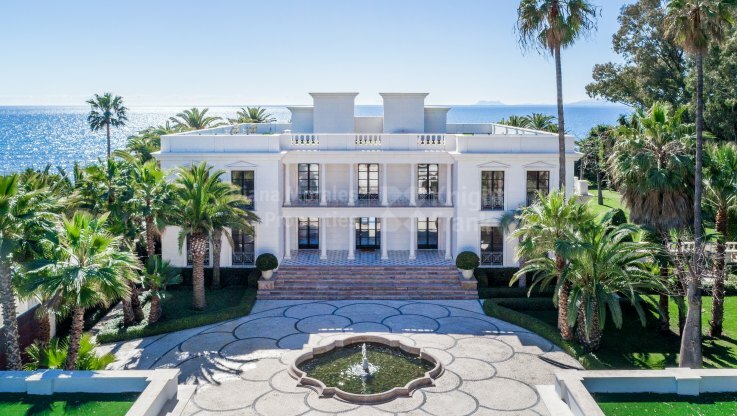 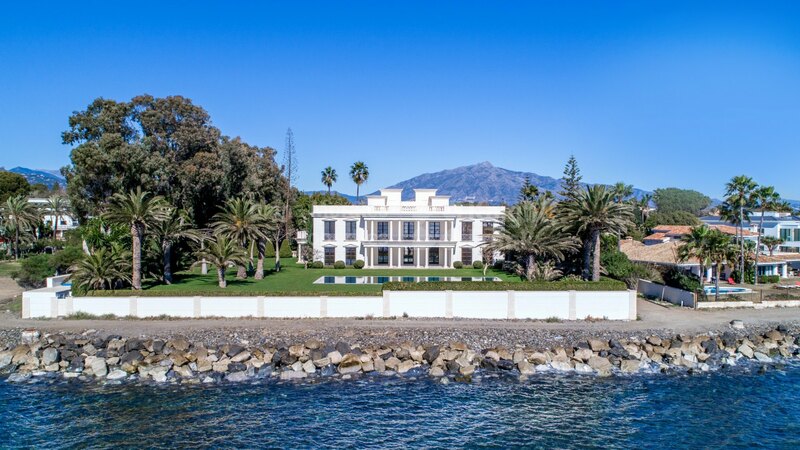 Its location ensures easy access to all types of services and amenities with Puerto Banús at just a 10 minute drive, the Guadalmina golf course at a 5 minute drive and the Golf Valley at a further 10 minutes. 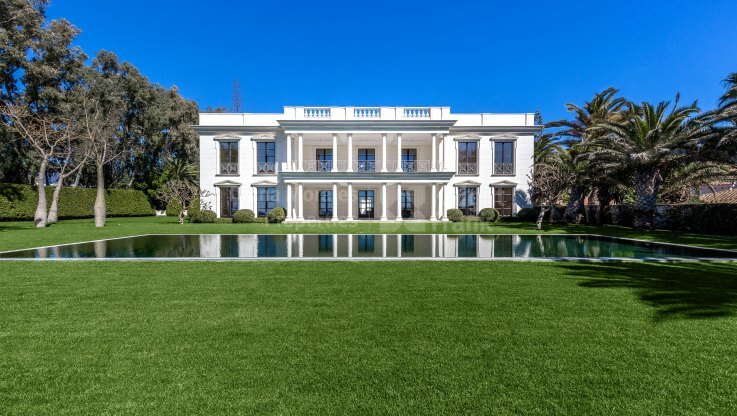 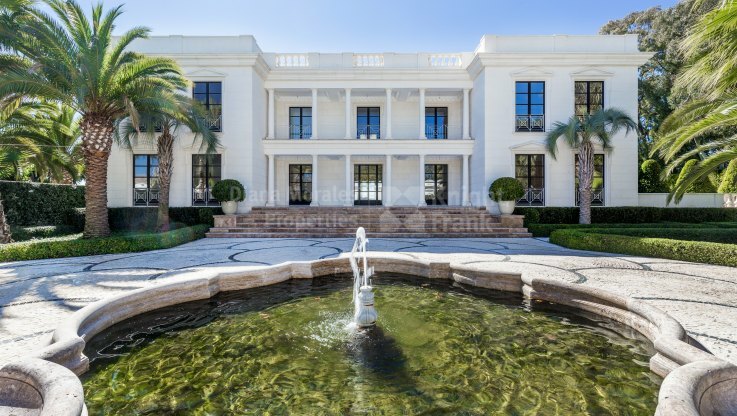 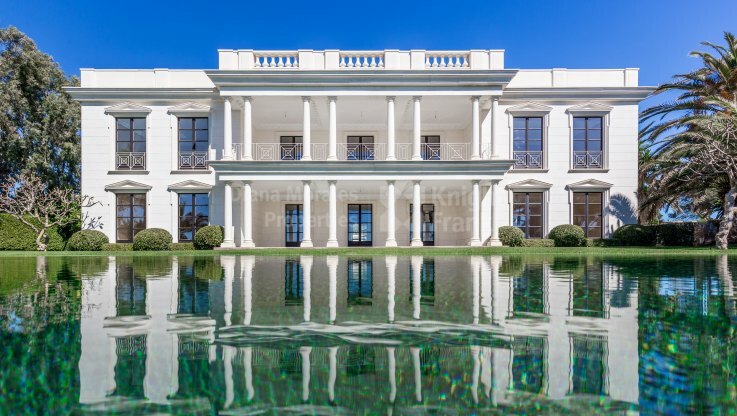 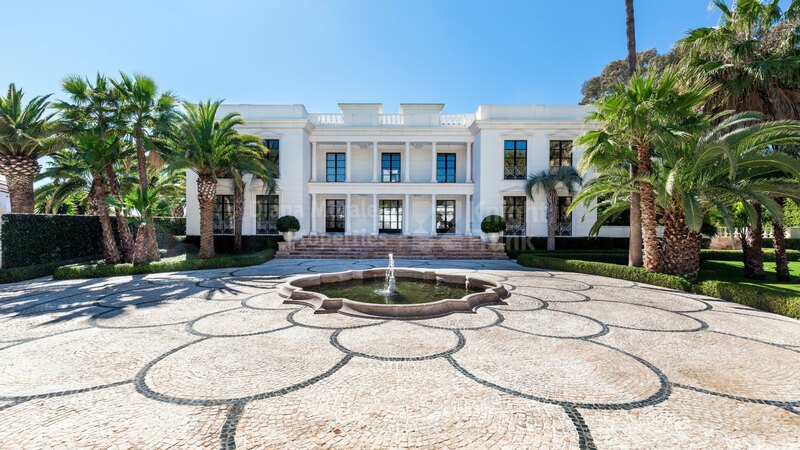 This mansion lies over a 5.175m2 private plot and is surrounded by carefully landscaped subtropical gardens creating peace and harmony to highlight its exquisite style. Built around the principle of privacy and security the property combines elegant classical architecture with environmentally-conscious state-of-the-art design, impeccable materials and specifications, all beautifully combined to ensure both form and function. 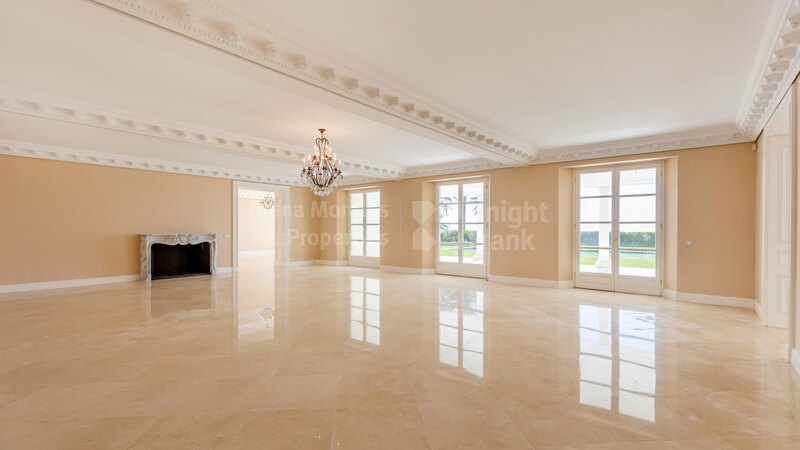 The main floor of this villa consists of an imposing reception area, a spacious living room, an independent dining room, a cozy family room, a fully fitted kitchen with first class appliances and a guest suite with private bathroom, living room and terrace. 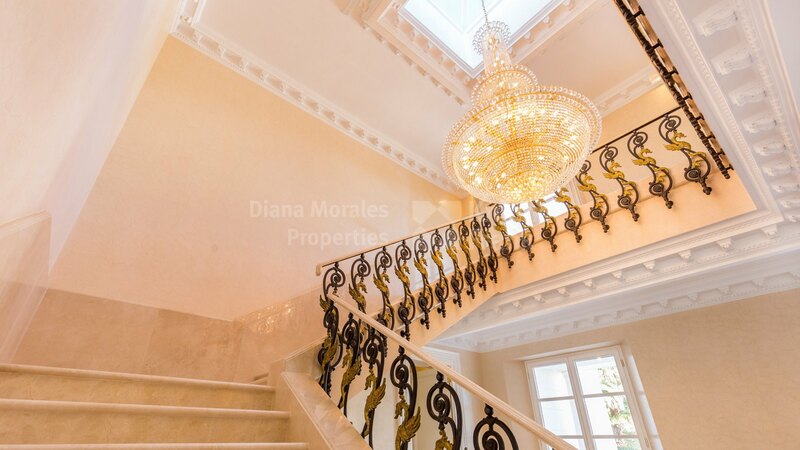 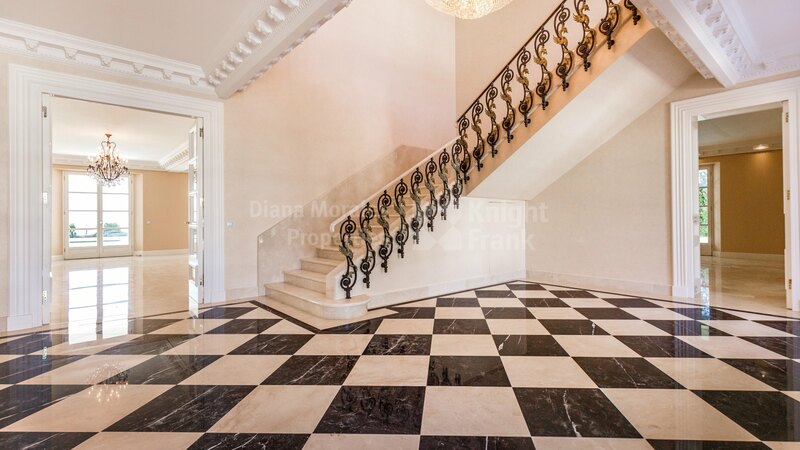 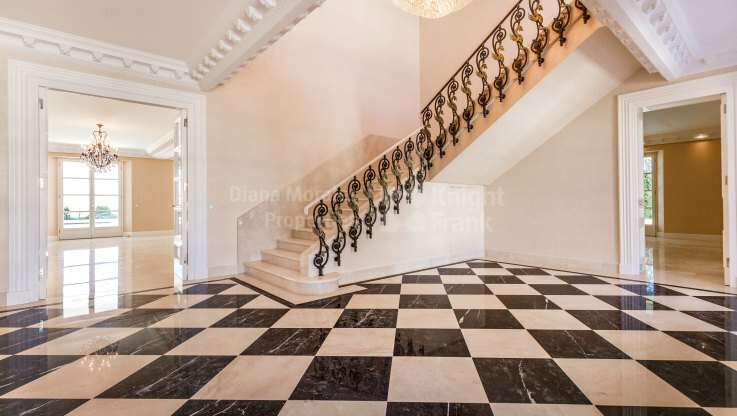 The first floor of this property, which can be accessed through its elegant staircase or a lift, contains the master suite distributed over 55m2, with private bathroom, walk in wardrobe and a private terrace, and four further double bedrooms all with their own bathrooms. 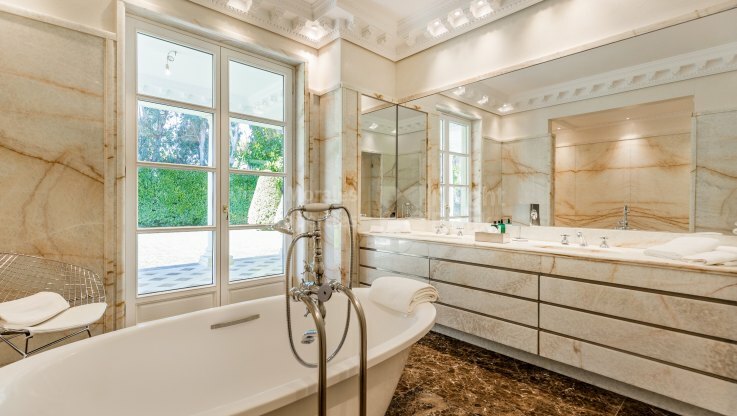 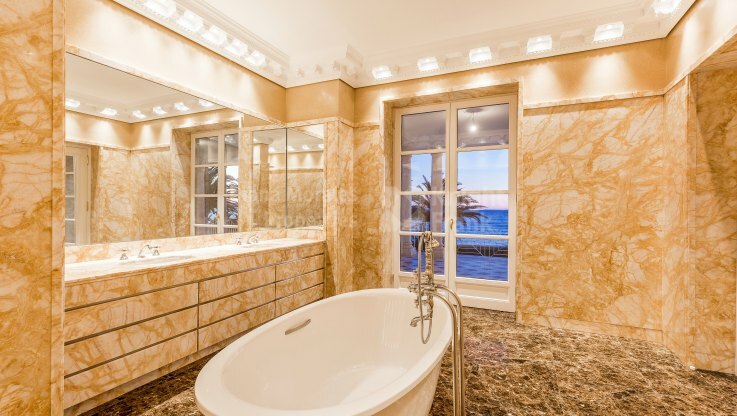 The rooftop of this villa boasts a Whirlpool Jacuzzi with shower, WC, kitchenette, storage space and it features beautiful marble/stone mosaic flooring. 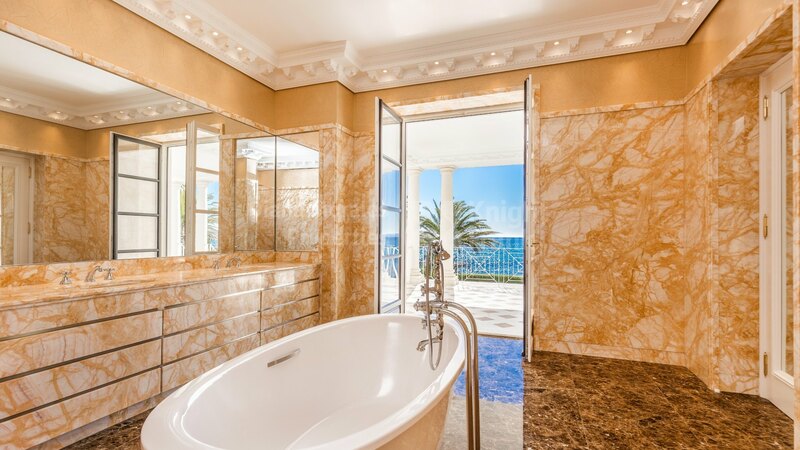 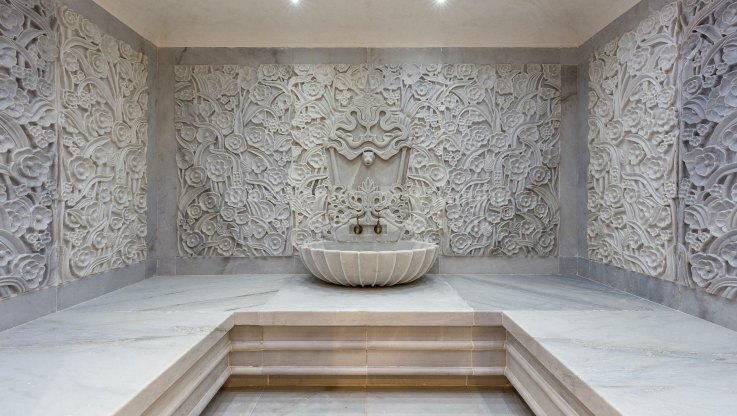 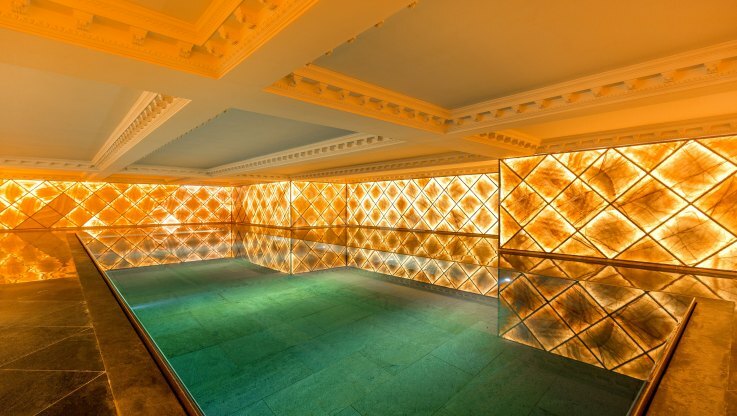 The basement level hosts all the comforts for a luxury lifestyle such as a large 77m2 indoor pool with an annexed lounge, steam bath, shower, WC, gymnasium, home cinema, refrigerated wine cellar, 2 store rooms, machinery room and service rooms. 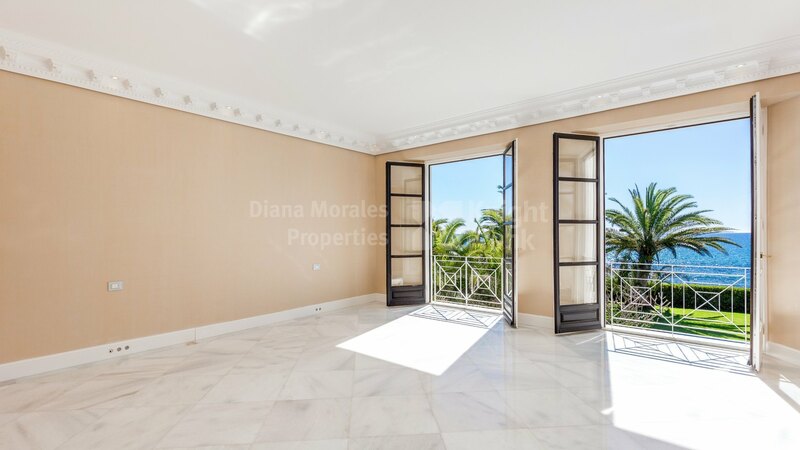 Furthermore the estate offers an independent caretaker’s house with 2 bedrooms, separate changing room, a garage for 4 cars and a car park for another 6. Its outstanding features include Louis XIV marble fireplaces in reception and dining room, insulated triple-glazing, white marble floors, onyx bathrooms, lift connecting the 4 floors, ducted A/C throughout, underfloor heating and cooling throughout, heating with solar panels and heat pumps, deep well groundwater recharge, home automation pre-installation, 2 white stove-enamelled garden gazebos and insulated exterior walls, amongst so many more.